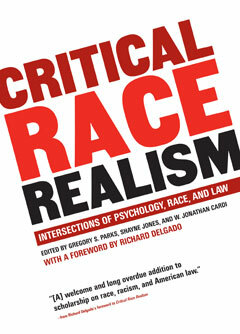 Building on the field of critical race theory, which took a theoretical approach to questions of race and the law, Critical Race Realism offers a practical look at the way racial bias plays out at every level of the legal system, from witness identification and jury selection to prosecutorial behavior, defense decisions, and the way expert witnesses are regarded. Using cutting-edge research from across the social sciences and, in particular, new understandings from psychology of the way prejudice functions in the brain, this new book—the first overview of the topic—includes many of the seminal writings to date along with newly commissioned pieces filling in gaps in the literature. The authors are part of a rising generation of legal scholars and social scientists intent on using the latest insights from their respective fields to understand the racial biases built into our legal system and to offer concrete measures to overcome them.